The shut lines on the leading (A pillar) door edges look out of wack. Must have been a doozy of a ‘minor’ accident. Who lets an interior go like that, you’d have to work at it to get it to the condition in the pics. I just read the Autocheck report kindly offered by the seller. 2011-2012 were not happy years for this car. Last edited by Oldcarguy; 12-28-2018 at 12:44 PM. The shut lines on the leading (A pillar) door edges look out of wack. Must have been a doozy of a ‘minor’ accident. Yeah, "just a 2 mph parking lot bump. " Who lets an interior go like that, you’d have to work at it to get it to the condition in the pics. My reaction too. I've seen cars with 250,000 miles that don't look like that. If the odometer hasn't been rolled back, it's only been driven 100 mi since 2012. I find that hard to believe. As far as the interior being so sad, it's probably been sitting for a long time (maybe 6 yrs?) with the windows partially down since they don't have the time to "re-sync the convertible top motor". Or at least an extra roll of toilet paper! 30K mi w/ GT3 front and wing. Sold for almost $40K, which is a little low for the miles and options. Why was this one special? 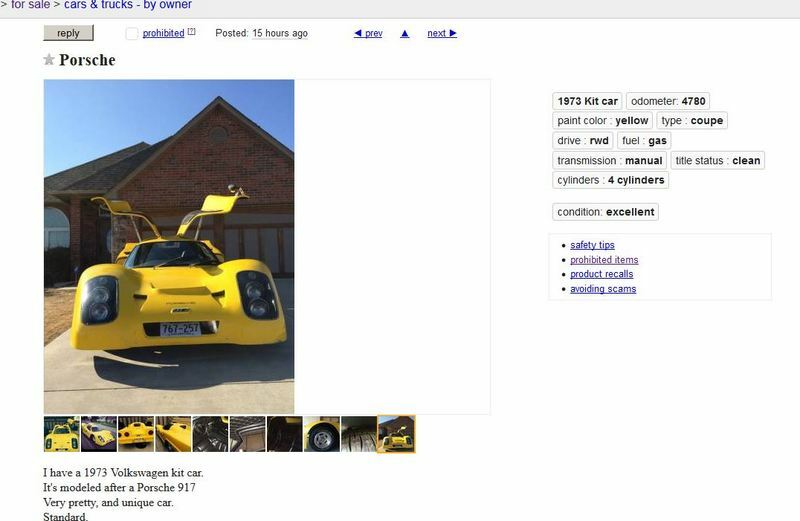 Someone went to the expense (allegedly $65K) to convert it to a central driving position, ala the McLaren F1 road car. Definitely NOT a kit car, looks a lot like a real car. Pictures do not do this car Justice. It has won best of show or Best in Class at every car show I have brought it to. Absolutely no tire kickers welcome! You want to beat on this car stay home don't need you cutting down the car either to try to get a better price, the paint was 10 grand by itself." 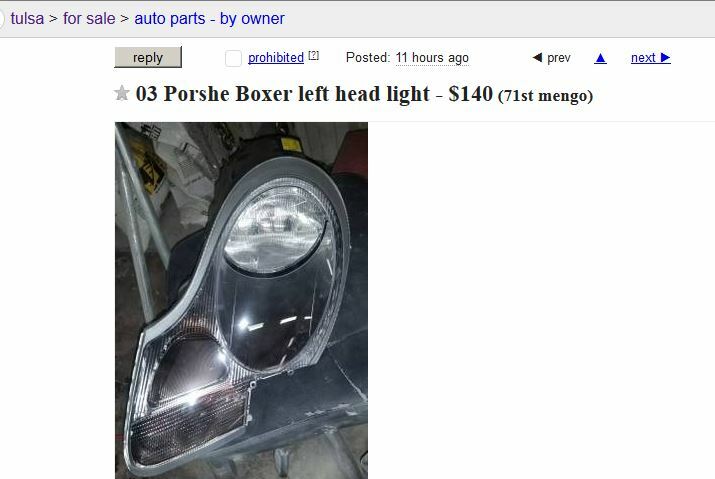 I can't tell if he means it comes with a "2 L Boxster 200 HP motor" in *addition* to the motor pictured. Does this look like a Boxster motor to anyone? Last edited by MikeMcMo; 01-10-2019 at 12:10 PM. Yep thats a rare 4 cylinder Boxster engine. 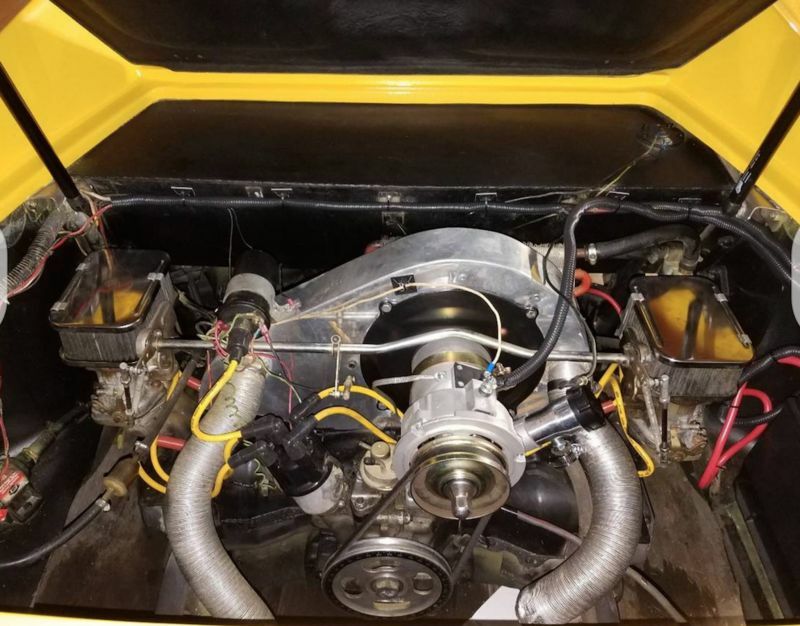 You can tell by the 4 leads on the distributor and the twin down draft carburetors. Hopefully they are Webers and not Solex cause that would be a dead giveaway that it is not a high performance normally aspirated 4 cylinder Boxster engine and just a cheap knock off. With the length of that hood you could fit 2 of those engines in there. PS, I wonder if the woman with the 2 basketballs in her top comes with the car? Built in passenger airbag(s). Last edited by paulofto; 01-10-2019 at 12:28 PM. If the motor is in the back, why does the front stick out so far? That hood looks like it is over 7'. Was he talking about the car?? That paint job was $10k? He got ripped-off. I see it comes w/ plenty of free swirls as opposed to swirl free paint. The sticker Good thing he featured prominently in ad; will help eliminate a fair number of buy candidates whose 'better half" will be well short of enthusiastic while looking at this fine specimen.